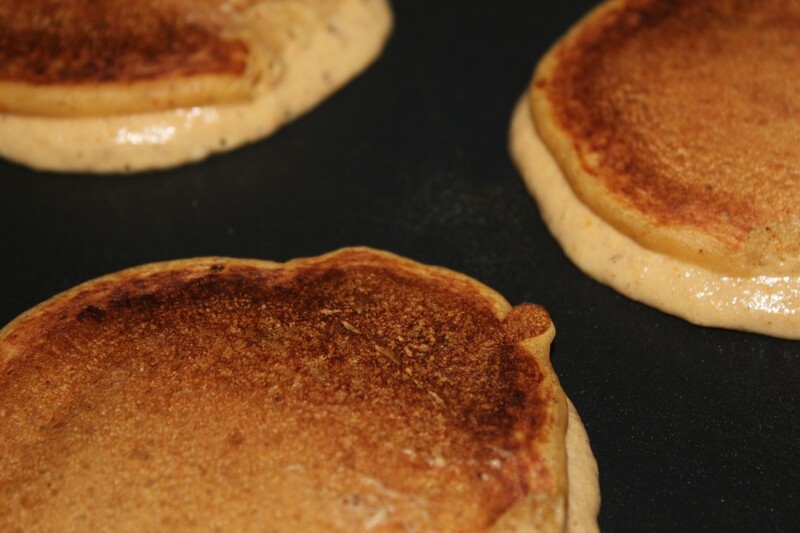 YumVeg.com - Pumpkin Pancakes, Anyone? It was completely premeditated; I assure you. Who doesn’t think ahead, knowing it’s going to be a blustery day spent at home, and plan to prepare some sort of yumminess that invariably involves pumpkin? Exactly. Me, neither. Which is why Pinterest came to the rescue (again) and offered up this recipe for pumpkin pancakes that I altered so it’s now a vegan version. Don’t worry – you won’t taste the difference, and you get a little extra flax in the mix! I opted to use the ground flax + water in place of the egg the original recipe requires, and my favorite Earth Balance in place of butter. I also found that depending on the amount of milk you use will determine what kind of pancakes you produce. If you stick with the recipe amount (1 cup), you will have a very thick batter, and your pancakes on the griddle will be thick, too. If you increase your milk (1/4 to 1/2 cup more) your batter will thin out, and your pancakes will cook faster, completely, and be thinner (duh). It’s a personal preference thing. My daughter liked the thicker cakes, and I didn’t mind either version. Just know if you go thicker, vary your griddle heat because the outside of the cake will cook faster than your inside. 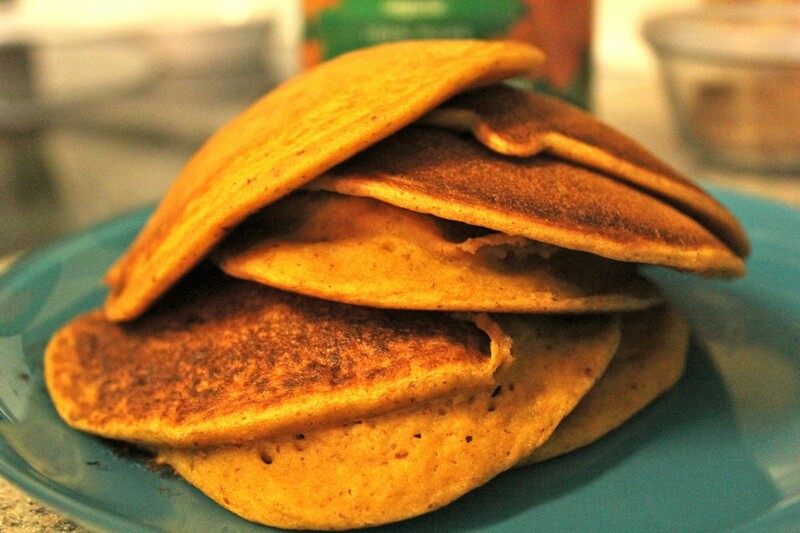 Cooked through or no, these pancakes combine just the right amount of spice to pumpkin ratio, and it’s like eating pumpkin pie pancakes with maple syrup. Enjoy! This recipe made 10 pancakes. Combine flax seed and water, stir. 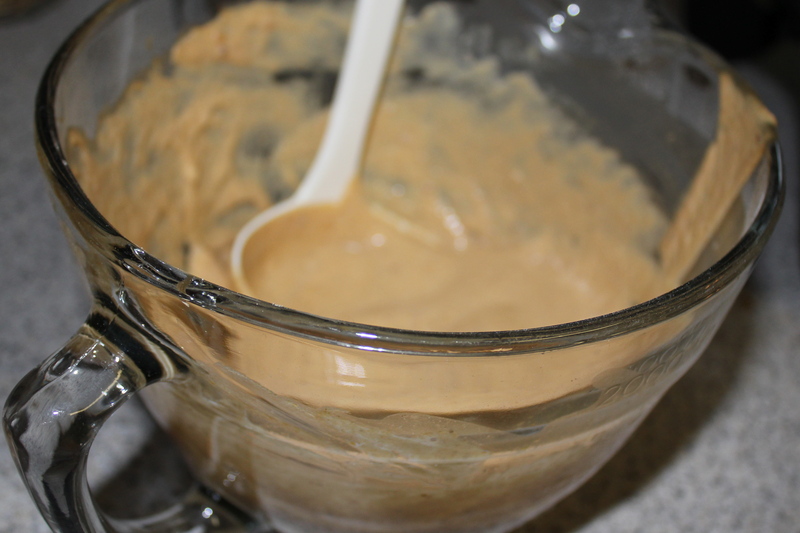 Whisk together the milk, pumpkin, Earth Balance and flax mixture in a separate bowl. Fold this mixture into the dry ingredients. 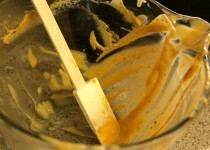 Pour batter in desired amount for each pancake and cook until you see bubbles forming, then flip.